For speedy and timely delivery! Welcome to the professional world of Skyline Shipping & Logistics Pvt. Ltd. We render world class NVOCC Operating Services, Door To Door Services, Project Cargo Handling Services, DS Cargo Handling Services, Warehousing Services, LCL Consolidation Services, Marine Insurance Services, etc. Besides, we trade ISO Containers. Our entire efforts rotate around customer’s satisfaction. 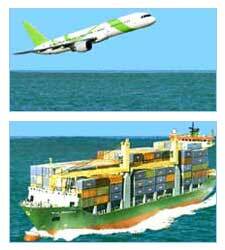 With a rich experience as a freight forwarder, we provide highly professional services for shipping activities. © Copyright 2007 - 2010. Skyline Shipping & Logistics Pvt. Ltd.